Texas Ski Ranch Kicks Off the South Texas Summer with 11th Annual Wake & Music Festival, Cablestock 2013. Texas Ski Ranch prepares to kick off the eleventh anniversary of central Texas’ largest beach party and tribute to summer, Cablestock 2013! Live music, world-class wakeboarding, bikini contests, DJ’s and more promise to make this years’ celebration one you won’t want to miss. Action: Top athletes from around the globe fly in to Central Texas to compete for cash prizes in wakeboarding and wakeskating divisions. Admission to daytime events is free and the entertainment factor tops the charts. 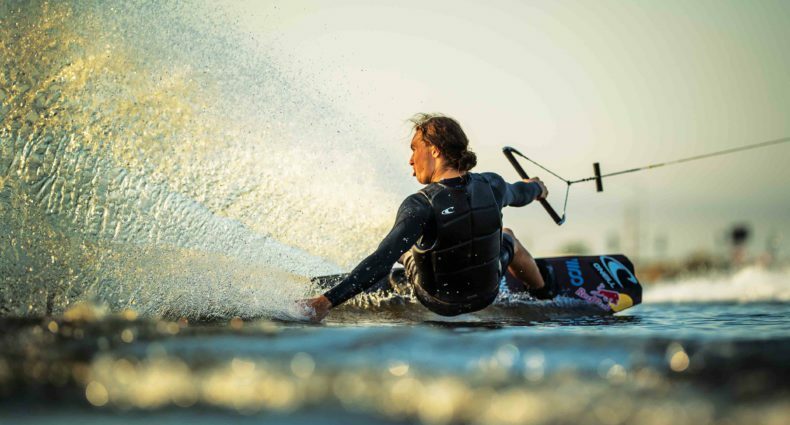 Wakeboarders will compete being towed by both TSR’s unique cable system and the MasterCraft X-Star wakeboard boat. Cablestock will also introduce a new Hybrid event that combines both the boat and cable. Music & Entertainment: TSR is excited to announce that there will be live entertainment Friday and Saturday night. Friday night’s concert presented by Red Bull is FREE! The beautiful ladies of South Texas will kick off the evening competing for cash prizes in TSR’s annual bikini contest. Performers of the evening include Zeale, Teddy Chang (Red Bull Thre3 Style U winner at Texas State), DJ Pool Boy – Joey Bradley and Collin Gee. Saturday Night Klassic Parque Entertainment presents: Curren$y, Action Bronson, Driiky Graham & More. Tickets can be purchased for Saturday’s show at cablestock.eventbrite.com. Live Beyond Limits: TSR and the Texas State Therapeutic Recreation department have joined forces to raise awareness and funds for Adaptive Action Sports. Professional skater Oscar Loreto and the Adaptive Skate Team will do a demo during Saturday’s event, and are hosting an adaptive skate clinic Sunday. Adaptive Action Sports is an organization that raises awareness, provides opportunities and raises the level of expectation and respect for the abilities and potential of adaptive individuals. Their slogan, “Live Beyond Limits” expresses their attitude and dedication in teaching individuals the skills required for participating in action sports. Beach Party: Admission to the weekend’s events, excluding Saturday night’s concert is FREE. So grab your beach blanket, sunscreen and bikini and head to the beach at TSR to check out the action! The cable lake will be open to the public throughout the weekend for all to come out and wakeboard with the professionals. Beginners are encouraged to try out our easy-to-learn two-tower cable system. A discounted rate of $49.95 for a three-day pass will be available for all to wakeboard throughout the weekend when the cable is open. For the weekend’s schedule and details on the event check out TSRcablestock.com. For more information contact catie@texasskiranch.com or call the Texas Ski Ranch at 830.627.2843. TSR would like to thank our partners making 2013 Cablestock possible: Liquid Force, MasterCraft, Spy, Body Glove, Shred Ready, Burger King, Hydrotunes & Wahoo’s. Cablestock 2013 is hosted by Texas Ski Ranch. Thank to Ryan Jones and Hunter Hanson for providing video footage.